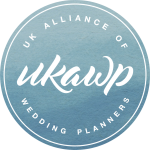 If you are a UK based wedding planner, who abides by by our Code of Business Practice and you believe in community over competition we encourage you to apply for membership. We’ll help you stand out in an increasingly crowded field, adding an extra level of reassurance for your clients. Our membership is based on the highest standards of excellence and professionalism, with members earning inclusion instead of simply paying for advertising. We have 3 membership tiers for wedding planners. Please review the criteria below to see which level is suitable for you. *Some of you may not have planned a wedding yet. 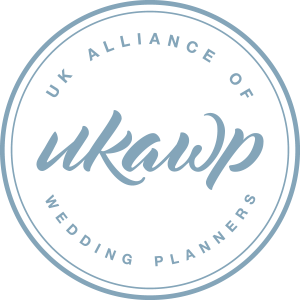 We have always been committed to being the industry body not only for established planners, but equally for those starting out, or moving from in house wedding or events management to being independent. Our associate level is aimed at the newly launched wedding planner who meets the following entry requirements. When you have been in business 2 years and have organised 5 weddings you can progress to our professional level. Completed either one of our courses (Business Practicalities and/or Step by Step), or another *UKAWP approved course. For the more experienced wedding planner our professional membership is more suitable. Being accepted as a professional member will ensure you are able to demonstrate credibility when meeting with potential clients. This level is for wedding planners who are already successful and experienced. Before being accepted you must provide details of past clients in order for us to collect references. As the name implies our elite members are those which are truly exceptional and are leading the way in the wedding industry. They are planners who have been in business a minimum of 5 years and can show they have organised in excess of 25 weddings. In addition they must consistently provide an outstanding service to the wedding industry. In addition to the regular benefits our elite members will also have quarterly Zoom calls with their fellow elite members. Please note this tier of membership is by invitation only.